In Welsh legend, the white dragon represents the enemy, the Saxons, while the red dragon represents Wales. In Arthurian legend, the red dragon is taken a step further to specifically represent the eventual triumph of Uther Pendragon and his son Arthur over the Saxon invasion of Britain. Nennius introduced the story of Vortigern taking up with the Saxons to try to overthrow a Britain in turmoil after the departure of the Romans. He tries to build a castle, but the walls keep collapsing. His advisers tell him he must sacrifice a fatherless child to fix the problem. Future renditions of the Arthurian legend make this child Merlin (see his character study here). The young wizard tells Vortigern that the castle collapses because there are two warring dragons in an underground pool beneath the castle. 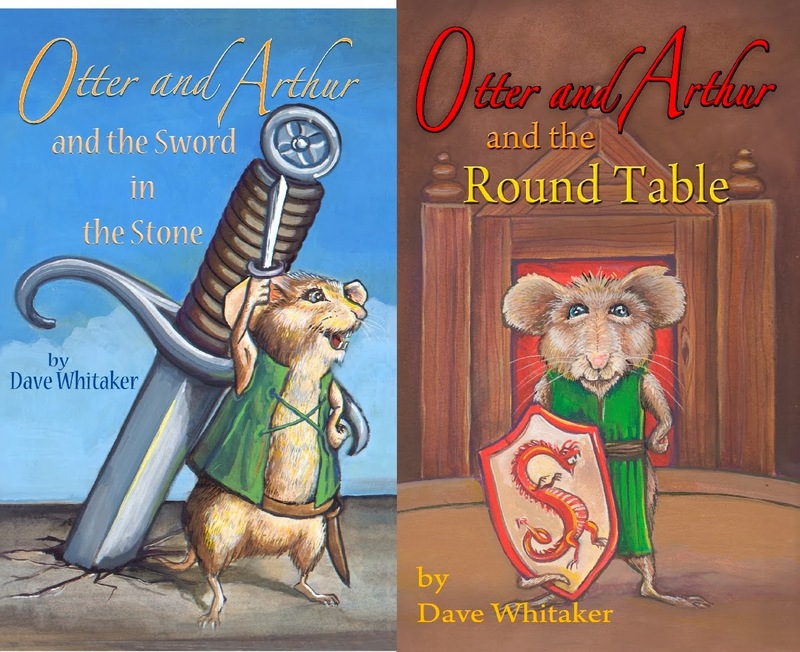 In Otter and Arthur and the Round Table, the legend emerges when Merlin takes Arthur to visit Stonehenge. Arthur is eager to know more about his background and Merlin shares some of the details of how Arthur's father, Uther Pendragon, came to power. The idea of the battling dragons emerges by the end of the story when Morgan uses her shapeshifting power to turn herself into a dragon. Luckily her attack is thwarted by Otter, who has also learned the power of shapeshifting. Ronan Coghlan (1993). The Illustrated Encyclopaedia of Arthurian Legends Barnes & Noble Books. Page 176. Justin E. Griffin (2001). The Holy Grail: The Legend, the History, the Evidence. McFarland & Company, Inc.: Jefferson, NC, and London. Page 10.